2018 Nov Heart Shaped Lemon is finally ready ! Thank you so much for your kind patience. This is Heart shaped lemon only. The number of heart shaped lemon is limited, please hurry for your order ! Get your pack of heart shaped lemon while stocks last. 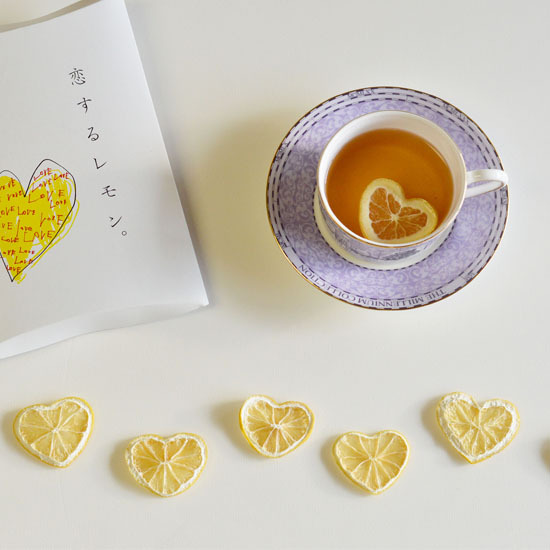 Due to high demand, each order is limited to 4 packs so that all can enjoy the beautiful heart lemon. Made with love by mother nature – No waxed coated Lemon from Setouchi. Enjoy a cup of Nilufer tea and add one of these exquisite heart cut-out lemons into your favourite brew, it is your cup of tea after all ! Don’t fret as unhealthy waxes, chemicals and other toxic pesticides that are commonly found in conventional lemons are not found in the Setouchi Lemon. These lemons are 100% edible. >For purchases in Japan, please contact us directly.